Enjoy the best of Queensland on this Rail & Cruise holiday. Discover tropical Cairns then escape to the Great Barrier Reef for 4 nights. Exclusive to Holidays of Australia and the World. 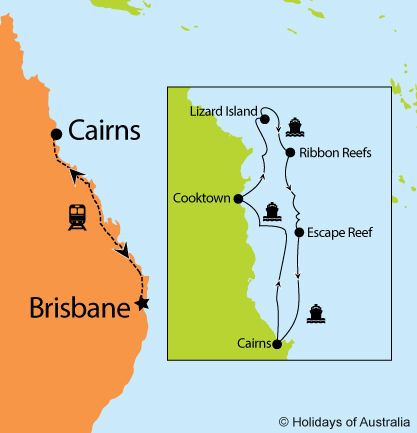 4 nights aboard the Coral Expeditions II cruising the Great Barrier Reef. Includes on board meals. ^Save $150 per person valid on new bookings until 31 Mar 2019.